Beginning in Lent we will begin our 40-day pilgrimage with a focus on the Lord’s Prayer. This wonderful prayer is one which is familiar to all Christians and which has been a regular part of Christian worship since the early church. It is so familiar that it runs the danger of becoming too familiar. In other words, it is easy for something like this beautiful prayer which we recite over and over to become so familiar that it looses it’s edge and bite. For this prayer has an edge. Though it is based on the Psalm tradition of the Old Testament it nevertheless is, in many ways, a very radical prayer that lifts up God’s unexpected priority for God’s children and calls for a equally radical response from those who prayer this prayer. 6. Save us from the time of trial and deliver us from evil. 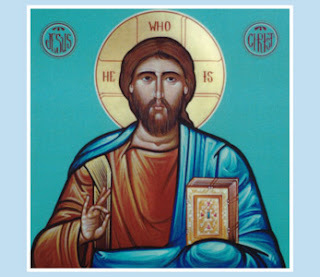 The prayer that Jesus sets out is a two-part prayer that begins with acknowledging the Jewish tradition of respecting the sacred name of God, but at the same time is very personal. The Greek for Father is actually the familiar term Abba that should be translated more accurately as Daddy or Papa. It is an intimate and familiar word. This is important because too often we think of God as remote and far away; or we think of God as an angry judge ready to condemn and turn his back on us if we don’t measure up. No, our Father in heaven is our Daddy, Papa who loves us unconditionally (think of the Father in the “Parable of the Prodigal Son” Luke 15). I would also add that Jesus’ use of the male familiar term does not assign a gender to God. Jesus related to God as father. The God includes both father and mother; male and female. And if the male familiar term Father, Daddy, Papa does not work for you then it would be completely consistent with this prayer to substitute the female words Mother, Mommy, Mama. The prayer is, itself, exceptionally inclusive and affirming. This then brings us to the first part, the petitions that acknowledge who we understand God to be. And they build on each other. God is the God whose very name is Holy and we pray that we would be always aware of God’s holy name so that we would not bring dishonor or blasphemy upon God’s name. This happens a lot. For whenever we attach God’s name to our own particular cause or viewpoint or prejudice we are dishonoring God’s name. For the God whose name is Holy is also the God who brings the Kingdom into our midst, and we then are citizens of this Kingdom of God. And the will of God that will be accomplished in heaven and on earth are none other than the priorities of the Kingdom itself. And what are the priorities of the Kingdom? That takes us to part two and first and foremost: That people are cared for and fed. That hunger is eradicated. There is no excuse for Christians to ignore the issues of hunger in our world. WE spend lots of money and emotional energy fighting for all kinds of superficial “religious” issues, but consistently too many Christians ignore the one issue that was priority number one for Jesus himself: Hunger. Then we pray for forgiveness for ourselves, our communities and by so doing we ask for insight, grace and love to be able to reach out to others with care and forgiveness. Lastly part two ends with an acknowledgement of the reality of evil and asks for God’s deliverance. Finally we close the prayer with a doxology that was added by the early church in the 3rd century. This prayer should make us uncomfortable. This prayer should challenge us. It is too easy for Christians to become complacent and self-centered. This prayer forces us to look beyond our own self-interest and the pet issues that are dear to us and to see that we are called to a much bigger calling. Hunger on the other side of the world IS our issue. This prayer condemns all suffering, injustice, hate, and arrogance. In this prayer we are called to commit ourselves to the vision of the Kingdom of God that Jesus represents. May we take this opportunity to reassess our values and our way of living our discipleship this Lent as we travel towards the cross of Jesus, accompanied by the Lord’s Prayer. Amen.